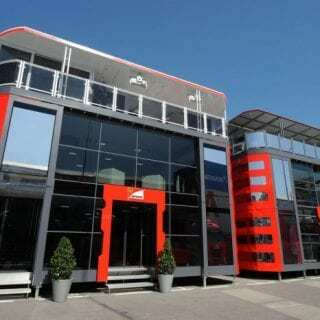 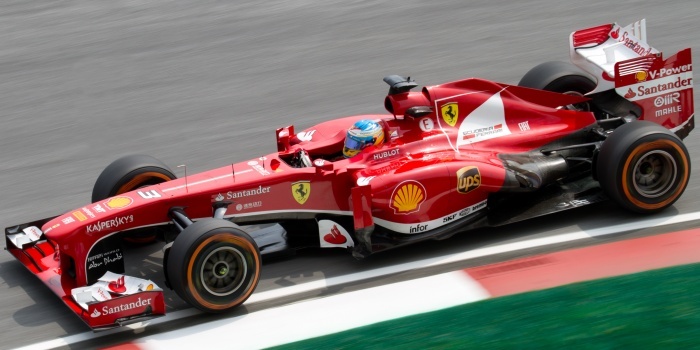 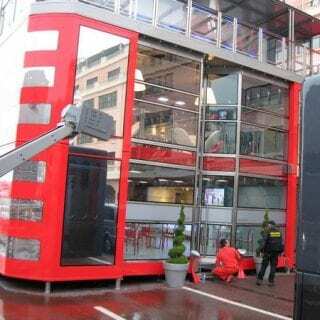 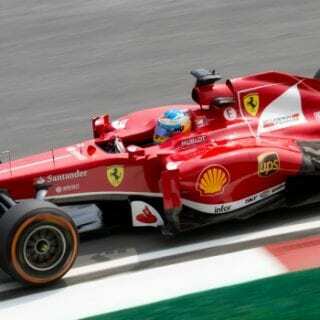 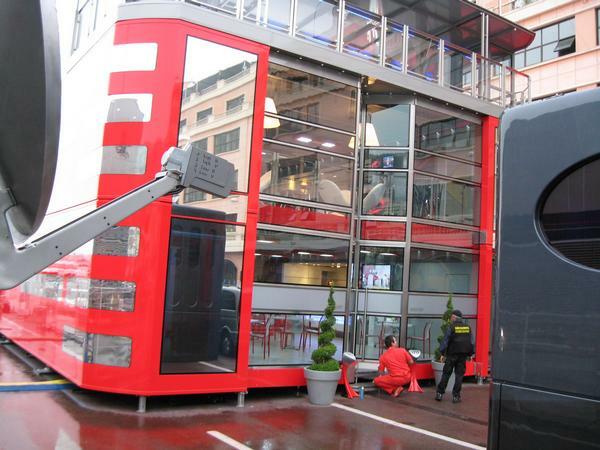 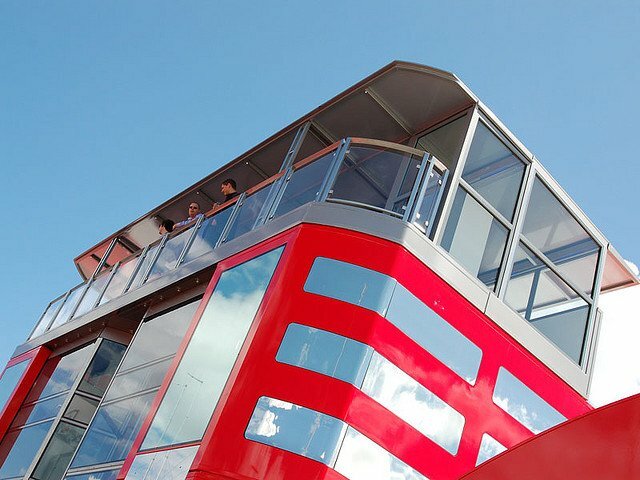 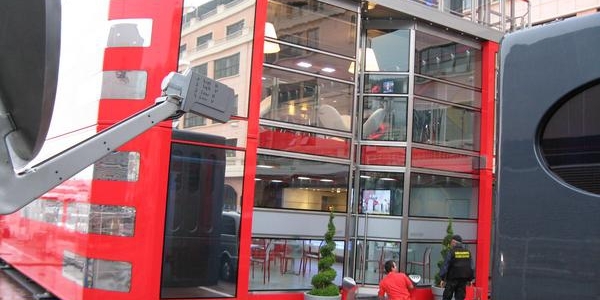 Each F1 team has a portable office transported to each track on the Formula One world championship tour. 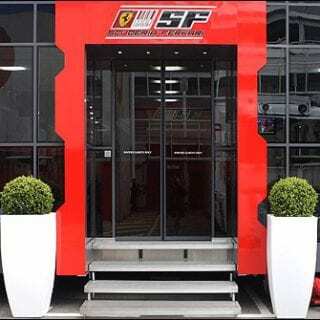 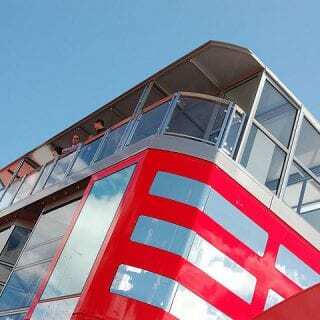 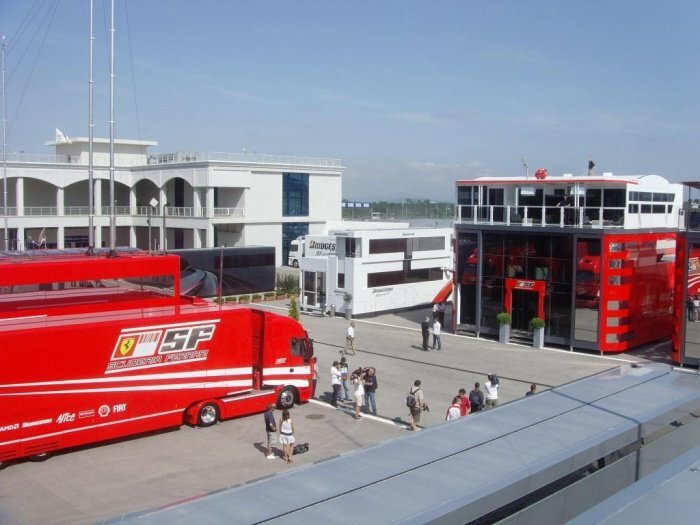 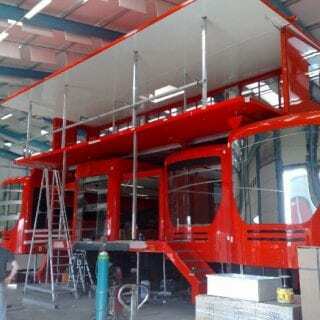 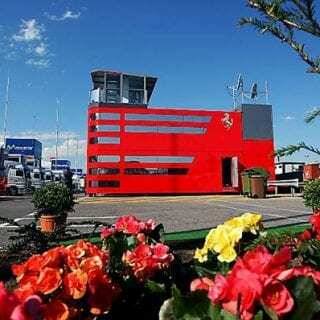 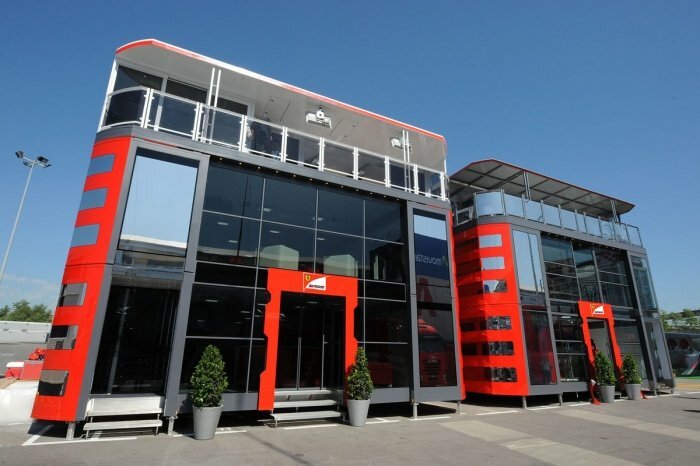 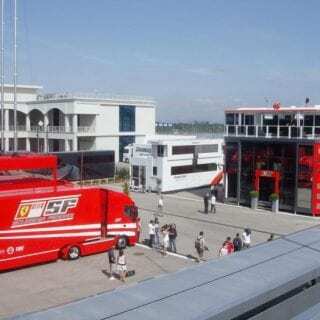 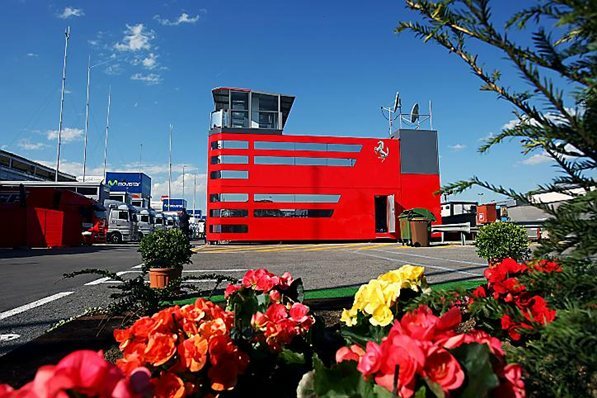 This Ferrari Motorhome for example becomes the office for team principles and hospitality suites for the F1 team sponsors and families. 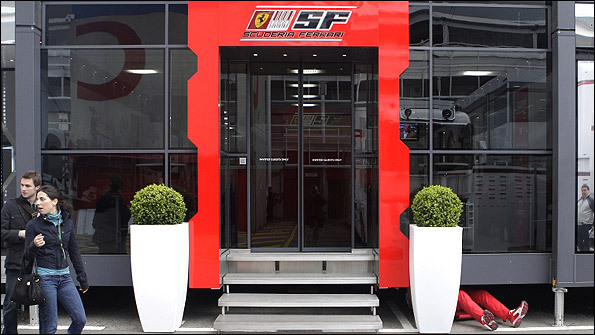 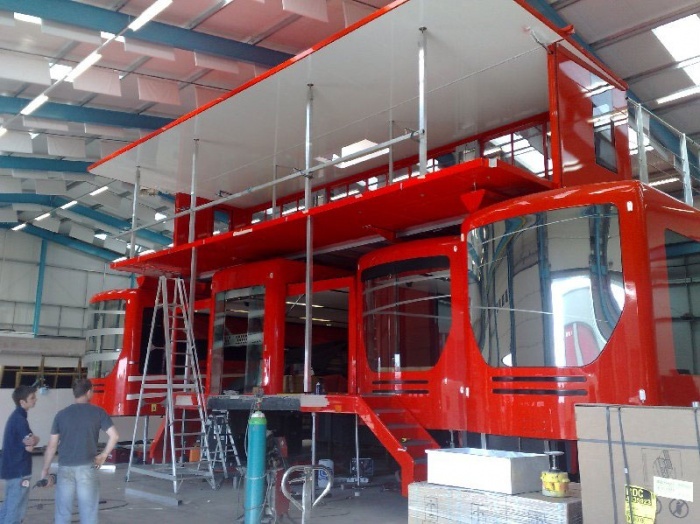 Take a look at the video and photos below to see more of the Ferrari Motorhome.